New York Language Center offers unparalleled English as a second language instruction to students of all levels, including TOEFL preparation and specialized English courses. 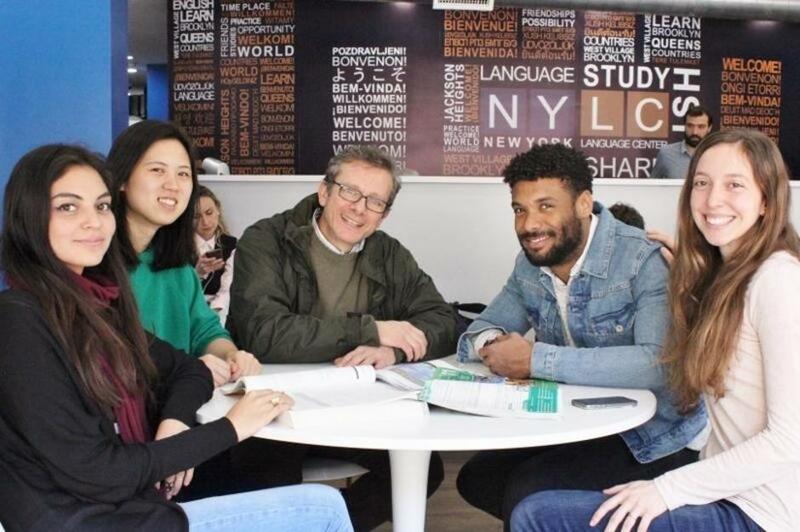 Established in 1985, NYLC has quickly become one of the largest and most respected English language schools in the New York City area. Many of our students continue their education at universities here and abroad or return to their workplace with vastly improved English language skills. Each year, we help thousands of students from over 100 countries improve their English skills. We have branches in Midtown, Manhattan, the Upper West Side of Manhattan, Queens and the Bronx. Students may study for as little as one week or for as long as one year at our school. We offer Intensive ESL programs of 20 per week, and we offer a Semi-Intensive programs of 16 hours per week. New York Language Center offers a comprehensive integrated skills language program paired with specialized electives in Business Writing, Academic Writing, Conversation, among others. We offer free internet access, student activities, housing placement assistance, and assistance with university admissions. New York Language Center is authorized under U.S. federal law to enroll non-immigrant (F1) students, and is certified by the New York State Education Department. New York Language Center is accredited by the Commission on English Language Program Accreditation for the period December 2014 through December 2018. Come to New York Language Center and experience our warm caring atmosphere, our wonderful teachers, fun activities and our exciting city. We will make you feel at home. Read the reviews on our website and our Google pages. and writing at the Intermediate level. and writing at the high intermediate level. writing and editing written assignments. times in context before it is firmly acquired. interactions meant to stimulate typical situations students may encounter. assessed in the form of midterm and final exam. practice and advice on strategies in order to successfully complete the exam. will gauge student’s progress and comprehension of course content. them to write about their own area of expertise. How really good it is!!!!! I had a lot of really good experiences here at NYLC. There are not only great teachers,but also lovely staffs too.The courses are so good that I think this school is the best language school in New York.Thank you for improving my English indeed. I took English courses to improve my speaking and be able to take the TOEFL test, I was in the post advanced class, with many others students coming from all around the world. Our teacher Matt was very helpful and he teaches us a serious exam with a lot of fun and I found really great that we were learning without even noticing ! I made a really good friends and I visited the city trough the activities proposed by the school. Thank you NYLC! I decided to study English in my job vacations just 3 months before I came here. And that was the most right decision that I ever had this year. These was really amazing times! I really fell I have improved my English and I wish I could have more time to stay here... But I just can't by this time... Besides a necessity to have a more fluent English to use in my job in Brazil (and a great issue that allow me to find a better one), I had a precious opportunity to live for one month in a city that I love at all! I know that only one month isn't sufficient to speak as a natural speaker, but that's the time that I had to do my course and I'll be back as soon as I can. And the improvement in my English is visible! Thanks a lot for everything. We so appreciate your comments Stanislaw. All of us at NYLC thank you for choosing to study with us and we wish you the best of luck in your future endeavors. my experience in NYLC was amazing, come to New York was the better decision in my life, i will miss my classes, the teachers are incredible people, Melinda, Zaira, Russel, Michael and everybody are amazing, NYLC give me a great time, i want to come back soon, you're incredible, i love school and i love NYC..
NYLC Is the best of best language center.! I loved this course and teachers.. They really know how to teach English..